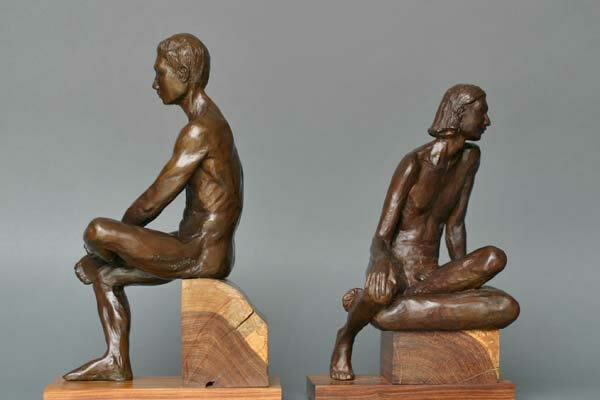 East Meets West is composed of two sculptures, Watching Time (sitting with ankle across knee)and Sitting Bare (sitting on pillow). Purchased together, they make dramatic book ends. The pair is Price:d at $1800.